Wonderful, & situated on gorgeous, expansive lot within fabulous Wellington Estates community! Located on private no-thru street, just steps to bike/walking path along GW Parkway & Potomac river. Beautiful 2 Lvl, 3/4 BR, 2.5 BA home w/ gleaming wood floors; living room w/ crown molding, cozy fireplace, recessed lights, built-in's, and large picture window which looks onto serene backyard. Bright kitchen w/ granite & stainless; & elegant dining area w/ french doors to deck & yard. 3 main level bedrooms w/ crown molding, & hardwood floors, & Master BR w/ two closets. Lovely bath's, & finished lower level w/ recreation room, full bath, den/4th BR, & separate laundry. One car garage & ample driveway parking. 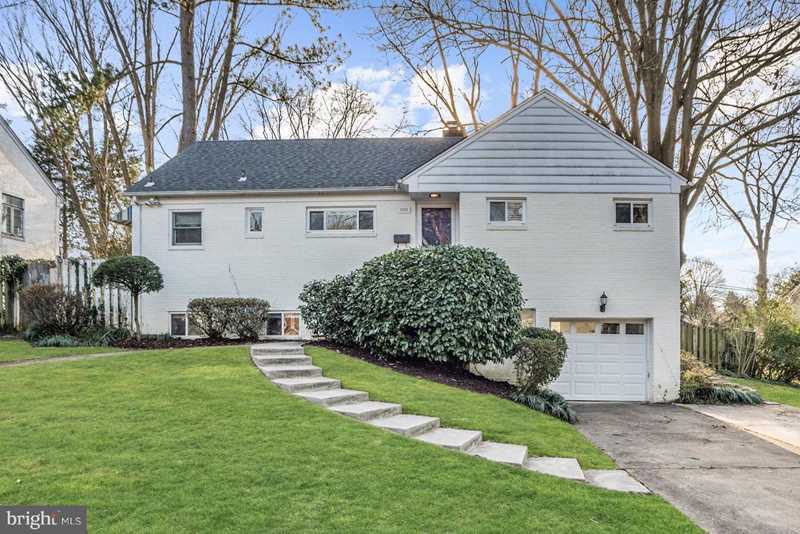 Located in popular Waynewood Elem school district, and minutes to Old Town Alexandria, metro, Crystal City, DC, the Pentagon, Fort Belvoir, National Airport & Rosslyn! Close to parks, shops, restaurants, grocery, schools, rec center, pools, library, farmers markets.. Fantastic location! SchoolsClick map icons below to view information for schools near 1111 Greenway Rd Alexandria, VA 22308. Home for sale at 1111 Greenway Rd Alexandria, VA 22308. Description: The home at 1111 Greenway Rd Alexandria, VA 22308 with the MLS Number VAFX805240 is currently listed at $609,000 and has been on the Alexandria market for 78 days. You are viewing the MLS property details of the home for sale at 1111 Greenway Rd Alexandria, VA 22308, which is located in the Wellington subdivision, includes 3 bedrooms and 3 bathrooms, and has approximately 1702 sq.ft. of living area.